Quite an event for Demis Tonna who has promoted seven boxing events since the formation in 2012. 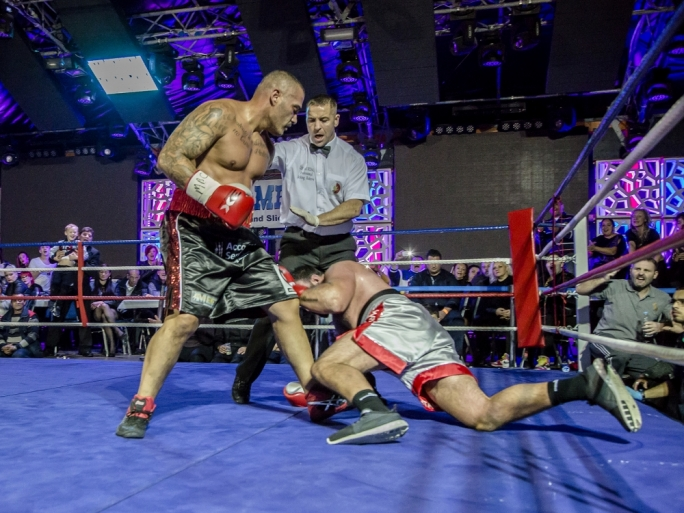 Sponsored by Eat Me I’m Famous, Prize Boxing Promotions Part 7, tagged “Rock Solid”, took place in the main courtyard of the former trade fair grounds in Naxxar. New canvas, new ropes, new covers basically a brand new 20 foot ring placed squarely in the middle of the courtyard, with a purpose build catwalk leading from the changing rooms towards the ring which was surrounded by 2000 boxing fans from all corners of Malta. This would encourage further summer tournaments. At sunset on Friday 27th June, a light breezy evening, to start the event, the local eye catching prospect Mario Borg faced his career second international fighter from Portsmouth, England by the name of Faris Sibelyin. 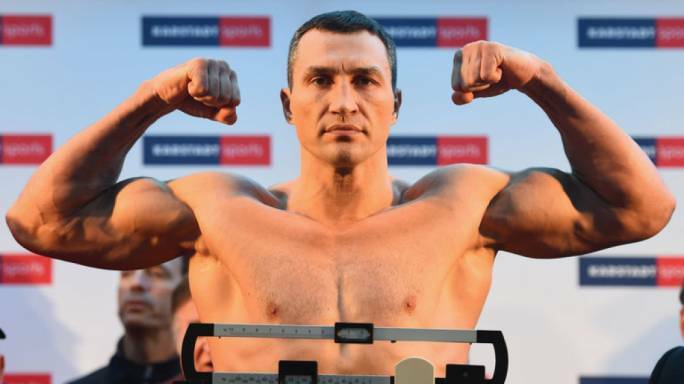 Borg weighing at 62.2 KG and Sibley weighed in at 64.7 KG at the Compass Lounge in Sliema on the Thursday afternoon. 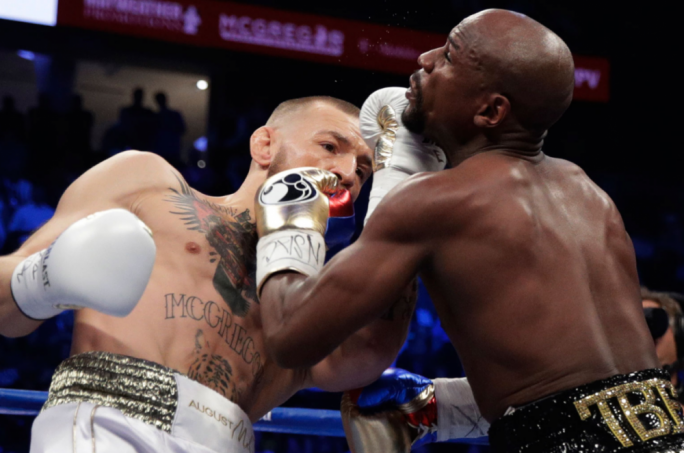 It was a fairly matched bout which lasted 4 close rounds. Two points were to play in what was a Split Decision to England’s Blue Corner, Faris Sibley. Judge A: 38 – 39, Judge B: 39 – 37, Judge C: 37 – 39. The 2013 Prize Fighter Champion Mark Cutajar was second on the list. He faced 109.8 KG Louis Hamson of the Independent Boxing Association. Hamson won by a Unanimous Points Decision. Judge A: 37 – 40, Judge B: 37 – 39, Judge C: 36 – 40. Mike Carter was the second of the Heavyweights at bout number 7 winning on a Split Decision. Judge A: 40 – 36, Judge B: 40 – 37, Judge C: 37 – 40. The first stoppage of the evening was owed to Hal Balzan’s Garth ‘the Problem’ Galea who was able to stop Stephen Spooner of England within 1 minute and 50 seconds of the opening round making it the fastest KO of the year. The lighting speed of Keith Azzopardi dazzled local IBA representative Terry Hadaway as this contest ended by KO in the Second Round. Time: 0.43s. Lydon il Beqqu Chircop was up next at a Bantamweight none title contest against George Stead of Portsmouth, England. Chircop show outstanding improvement in skill and robustness. Majority of the Decision went to the Malta’s Bantamweight Prince Lydon Chircop. Judge A: 38 – 38, Judge B: 40 – 37, Judge C: 40 – 36. Godwin Agius came out to 350 of his fans that cheer from the first bell until the last. He faced Karek Khodir in a Debut Semi Pro National Contest sanctioned by the National Boxing Association. Unanimous Points decision awarded to Godwin Agius. Judge A: 40 – 36, Judge B: 39 – 38, Judge C: 40 – 36. 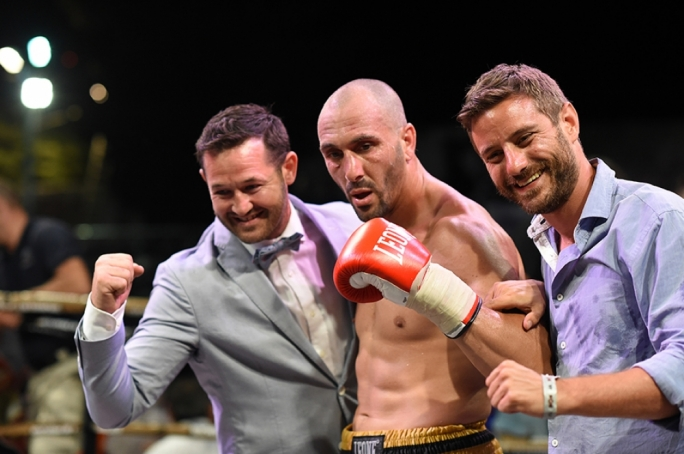 The first professional boxing main event of the evening was that to be contested between Malta’s man of Steel Super Steve Martin and Varju Gyorgh Tamas of Hungary for the WBF International Welterweight Championship. Steve Martin weighed in at 66KG while Varju Gyorgh weighed in at 66.4KG. Gyorgh looked solid on his feet with the experience of an ex amateur champion showing as his ring generalship was. Late in the second round Martin landed a left hook to the body which rocked Gyorgh’s but the sound of the bell stopped the attack. 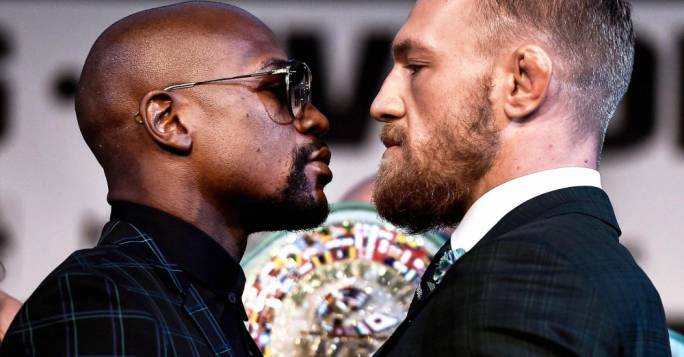 The fight came to a climax in round number three when Martin worked a combination of head and body punches to bring the talented Hungarian fighter down to his knees for the first time. It clearly showed on Steve Martins and Coach Barry Smith faces that he had just defeated his opponent without anyone knowing. 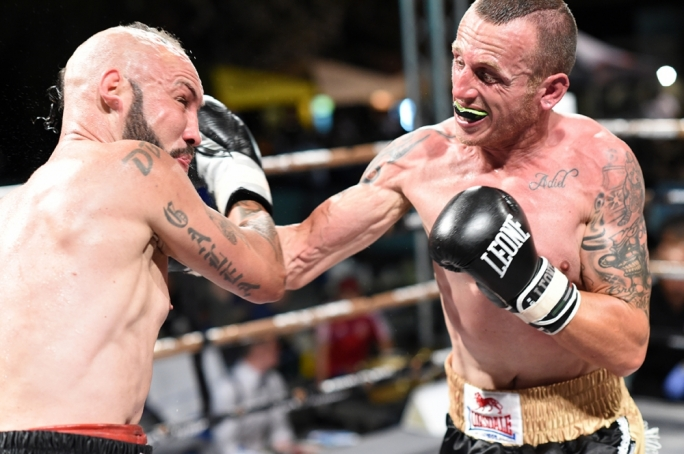 Martin left hook to the body is to be considered as one of the Super’s best punches and yet again the same slip, left hook to the body brought Varju Gyorgh done two more times ending the fight to become Malta’s first two weight category International Champion. This bout was sanctioned by the Malta Boxing Commission by kind permission of Mr. Mike Croucher of the World Boxing Foundation. Malta’s first Female Boxing Champion. Judge A: 40 – 36, Judge B: 39 – 37, Judge C: 39 – 38. Tyrone 'El Terrible' Borg remains unbeaten in five contests. A standing ovation in the fourth round by a knock out hungry crowed contributed to both boxers trading an amount of punches when the Hungarian fighter Szepesik Zoltan finally dropped his guard and with another series of punches the corner trough in the white towel to retire their fighter. The fourth round was the most Borg has been. He has proven to have a high motor that thrives against counter punching. You would not know it from his professional record but Borg is a crafty talented light heavyweight that uses his height and reaches advantage to frustrate and confuse opponents. “Prize Boxing Promotions would like to thank all sponsors namely, Eat me I’m Famus as well as Matt Marshall and Stephen Vaughan for both their support," Tonna said.